The programs are free of charge for victims’ family members, survivors, responders and the dedicated professionals who are providing support services for those impacted. Survivors include individuals who lived, worked, went to school or were in Lower Manhattan. Responders include fire and police departments, union members, mental health professionals, victims’ services, emergency managers, law enforcement, media and others who volunteered in the community. I have been asked to participate on the Victim Compensation Fund update panel, along with Special Master Rupa Bhattacharyya. There are other programs that might interest you, including one regarding the WTC Health Program and another that will discuss advocacy efforts to support responders and survivors. 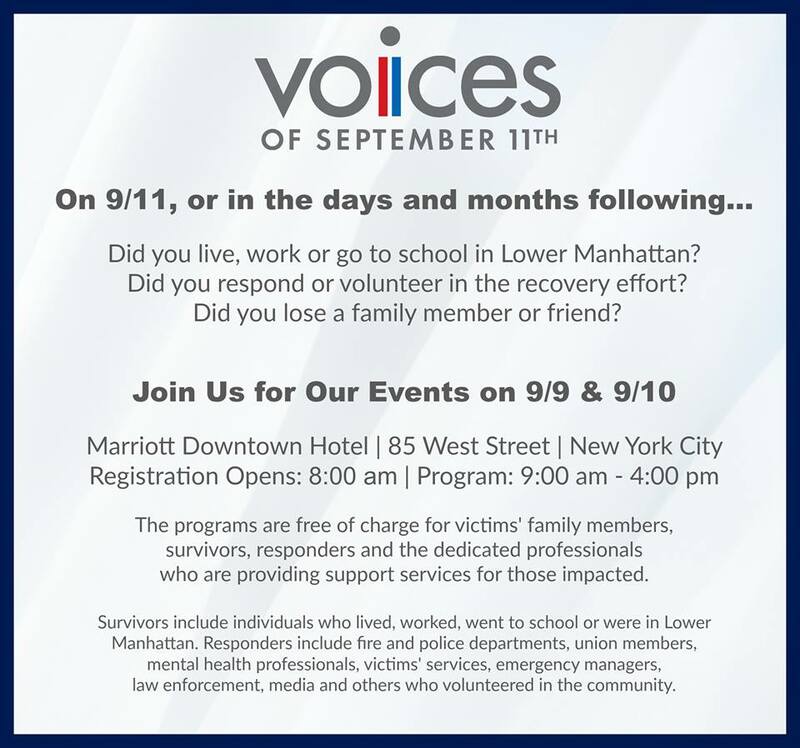 The events are free to 9/11 family members, responders, survivors and WTC Health Program partners. I look forward to seeing many of you there.